The Man & Woman of the Year Dinner is Lee County Community Foundation’s signature annual event to recognize outstanding local leaders and raise funds to support local community grantmaking. This year, the LCCF board of advisors announces Jimmy Love, Sr. and Margaret Murchison as recipients of the Man & Woman of the Year award, according to Mikeal Basinger, board president. The event will be held on March 13, 2018 at Carolina Trace Country Club in Sanford. Tickets are $50.00 and available to the public. Those interested in attending should contact LCCF Board Member Oliver Crawley at 919-777-9823 or NCCF Regional Director Dawn Neighbors at dneighbors@nccommunityfoundation.org. Love was born in Sanford and educated in Sanford City Schools. He attended the University of North Carolina at Chapel Hill where he was the starting catcher on the baseball team. He received his law degree from the UNC’s Law School and served as law clerk to J. Wallace Winborne, the Chief Justice of the North Carolina Supreme Court. He eventually returned home and practiced law in Sanford. He served as solicitor of the Lee County Criminal Court and assistant solicitor of the Lee County Superior Court. He is a past president of the Eleventh Judicial District Bar Association and past attorney for the City of Sanford. Currently, he serves as attorney for the Lee County Board of Education and Central Carolina Community College. 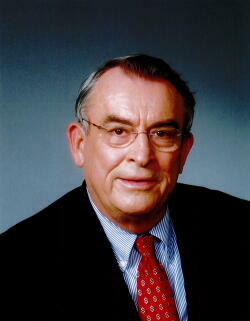 He was a member of the North Carolina House of Representatives, representing Lee County, for more than 14 years. In the legislature, he served as chairman of the House Appropriations Committee and a member of the Advisory Budget Commission. He also served as co-chairman of the Appropriations Subcommittee on Justice and Public Safety, as a member of the North Carolina Sentencing and Policy Advisory Commission and a member of the North Carolina State Council for Interstate Adult Offender Supervision. He is married to former Etta Brown Howard. They have four children: Joni Ramey; Jim Love, Jr; Melody Watts and Mark Love. Murchison is a graduate of Wicker School, where, upon graduation, she returned to work as a teacher’s assistant. She worked with first graders before moving up to middle school. While working in the school system, she began taking classes at Central Carolina Community College and enrolled in the library science program and Sandhills Community College in the new career program. She went on to work an internship with the librarian of Lee Senior High School and was hired full-time after graduation. While at Lee Senior, she furthered her education at CCCC in the Campbell College transfers program and St. Andrews Presbyterian College. 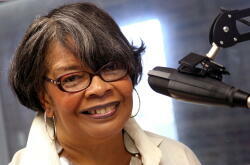 She eventually left Lee Senior and embarked on a career in broadcasting. She has worked as news and public affairs director and sales executive for the past 40 years at WWGP 1050 AM and Classic Hits & Oldies 105.5 FM. She holds and has held numerous state and local offices and is a community activist, serving as an advocate both for youth and senior citizens. She was the first African-American woman to have served as president of the North Carolina Associated Press Broadcasters. She served two terms on the Lee County Board of Education and a four-year term on the Central Carolina Community College board of trustees. She has served on almost every board in Lee County and is the recipient of numerous awards and commendations. She is married to Fred B. Murchison, Sr., and they have one son, Fred, III who teaches at Lee Senior.